We are an established Seattle-based security company that has been operating in this area for 15 years. As we expand our business we are looking to add qualified candidates who will need to be a licensed guard through Washington state. We provide the training and guard test to our new employees and then they in turn pay for licensing. 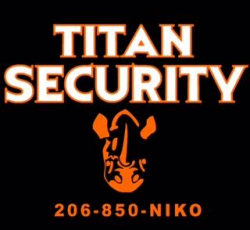 We currently do security at local college Greek Life Events as well as multiple bars and other private functions in the Seattle Area. Our ideal candidate would understand that we are a customer service based security firm that believes physical tactics are a last result when de-escalating a situation. Please take a look at our website and contact me at your earliest convenience to discuss an interview.